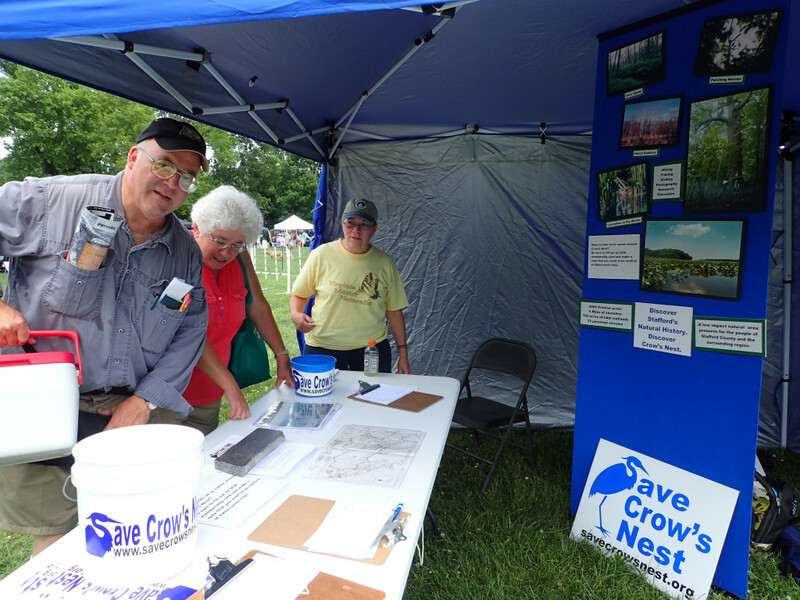 On Saturday June 6, 2015, Crow’s Nest volunteers staffed a booth at Fredericksburg “Rock the River” events in Old Mill Park. The day-long festivities featured a mixture of music, food, crafts, and outdoor enthusiasts. Save Crow’s Nest was alongside Friends of the Rappahannock, the Virginia Conservation Network, the Falmouth Flats Fly Fishers, and more. 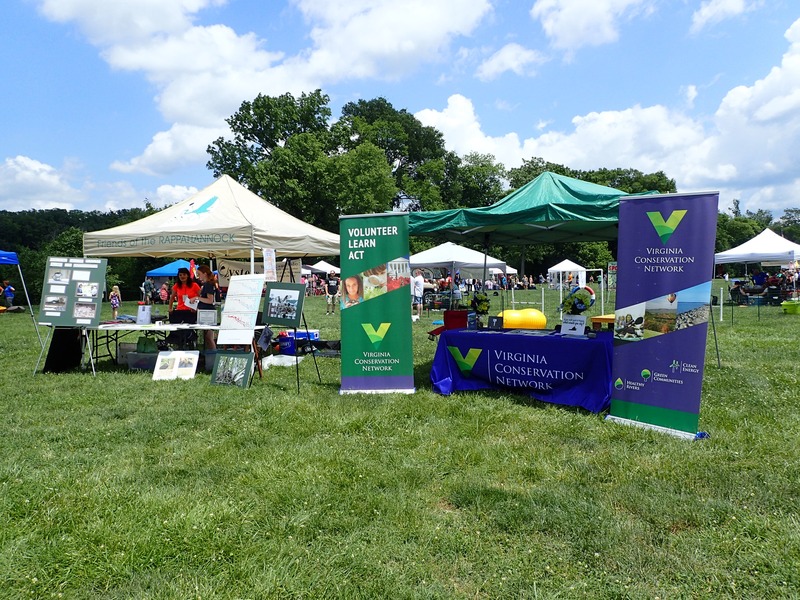 The event coincided with the 35th annual Great Rappahannock Whitewater Canoe Race, and included a 4-mile trail run/walk, more than 40 vendors, 10 regional craft breweries, and bands. Sunday morning there was a river cleanup. Save Crow’s Nest attends such events from time to time and is always looking for volunteers to help staff our informational tables. If you’d like to help in the future, let us know. Email us at savecrowsnest@savecrowsnest.org. Do you know folks who should hear about Crow's Nest? Tell them about this website and encourage them to sign up for our e-mail notices.